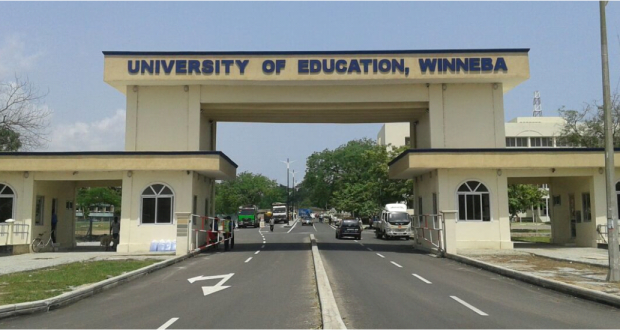 The High Court in Winneba has ordered the Vice Chancellor of the University of Education, Winneba, Professor Mawutor Avokeh, to step aside until a case brought against him is determined. The court order also affects the school’s Finance Officer. The orders were part of the reliefs granted for the interlocutory injunction sought by the plaintiff, Supi Kofi Kwayera, in the case brought against the University which insisted that the Vice Chancellor and the Finance Officer were operating under the institution’s defunct governing council. The Court also issued a 14-day ultimatum to the Ministry of Education to reconstitute the governing council of the University of Education, Winneba.The Court presided over by His Lordship George Ato Mills-Graves awarded an amount of GHC4,000 against the university. The Court thus ordered the Pro-Vice Chancellor of the University, Rev Fr Afful-Broni, to act in the position of the VC, to allow the day-to-day administration of the institution to continue. Lawyer for the plaintiff, Hon. Alexander Afenyo Markins, speaking to journalists after the hearing said the ruling will serve as a legal precedent for successive governments so they don’t delay the formation of governing boards for institutions. “In future, governments would not unduly abdicate their responsibility in terms of what they are supposed to ensure it is done. Governing council for every public institution is key. I am happy that today, UTAG has found it feet to call on government to reconstitute governing councils with the view if this is not done, it will affect academic work. I agree with UTAG it’s all good for our rule of law, it is for us to develop our laws and it is nothing personal,” he added. In a 23rd May 2017 writ issued, the plaintiff [Supi Kwayera] adduced that the university’s council’s mandate had expired in November 2013, but the Education Ministry failed to constitute a new Governing Council for the university, and rather allowed and permitted the defunct Governing Council which had no mandate whatsoever to continue the functions of a properly constituted Governing Council as if same had been properly constituted. This Mr. Kwayera insisted was unlawful, and hence his legal action against the University of Education, Winneba. However, before the substantive claims were looked into, the University, through its counsel, applied to the court to dismiss the suit on the three counts, but the application was dismissed. In June this year, the plaintiff prayed the to effect an interlocutory injunction restraining the 1st Respondent, its assigns, agents, officers and all other persons acting through the 1st Respondent or claiming to be the lawful representatives of the 1st Respondent from authorizing any payment to any contractor or supplier whose contract is the subject matter of the substantive application before the court. Again,the injunction was to restrain the 2nd Respondent from recognizing any supposed Principal Officer or any person whose mandate as an officer of the 1st Respondent emanated from the defunct Governing Council as the lawful representative(s) of the 1st Respondent until the final determination of the substantive application. The injunction also sought to restrain the 1st Respondent and its lawful representatives from making any payment to Ghana Highway Authority or any third party entity including Larmas Construction (GH) Ltd in respect of a Memorandum of Understanding with Ghana Highway Authority for road maintenance until the final determination of the substantive application.